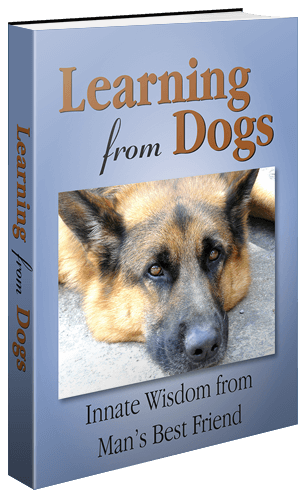 Learning from Dogs – Dogs are animals of integrity. We have much to learn from them. Rocky ends up getting rescued, and more..
For a while now I have been subscribing to The Dodo. As the website explains it’s for animal people and as you and I know that’s quite a great many people! Until now I have been a little nervous of sharing articles from The Dodo with you. But then I noticed quite recently that there is a ‘share’ button at the end of the articles. So I presume it’s alright to share these wonderful stories! Try this one published in April, 2019! Time and time again people from all walks of life know something instinctively when it’s in front of them. 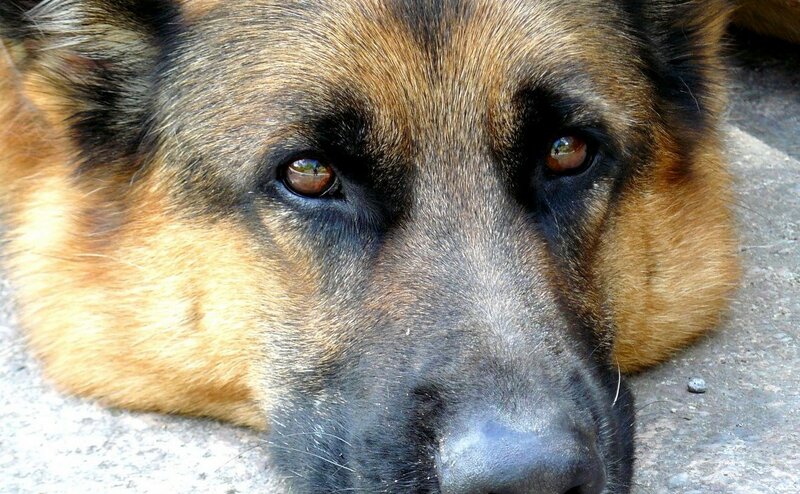 The love that we humans give to our dogs and the love that they return to us. The ancient history of man and dog! And when I say ‘man’ I am of course referring to the species. For a couple of weeks ago Meilan Solly of The Smithsonian wrote about the relationship 4,500 years ago of man and dog. In Neolithic times there was an important relationship, as there is today. Maybe our dogs have become more of the ‘pet’ rather than the working dog that they are assumed to be then. Now, 118 years after archaeologists first chanced upon its resting place, the prized pup’s image is being reimagined. As Esther Addley reports for the Guardian, experts believe the dog is the first canine to undergo forensic facial reconstruction. Its likeness, commissioned by Historic Environment Scotland (HES) and the National Museum of Scotland, is set to go on view in Orkney later this year. “When you look at a Neolithic dog, it somehow communicates human relationships,” Farrar concludes. Built between 3000 and 2400 BC, this is an excellent example of a Neolithic chambered tomb. It has four cells opening off a central chamber, which is accessed down a passage. Entrance into the tomb today is through the original passage. Secondary burials at the Cuween Hill could reflect a continued reverence for the site. A recently discovered settlement nearby is probably contemporary with the cairn, and would likely have been connected. The dog remains suggest the local tribe or family perhaps had a dog as their symbol or totem, or there may have been a belief in an afterlife for animals. The tomb is completely unlit, which serves to both add to the atmosphere and discourage vandalism and graffiti. It also means the tomb is largely free of green algal growth. The stonework at Cuween Hill is of particularly high quality. The roof of one of the cells is likely to be original, elsewhere the walls and corbelled roofs have survived to a considerable height. As I said, we go back a very long time! At the start of the week, indeed last Tuesday, a pair of geese hatched a brood of goslings. They are at the limits of the camera lens. This is the morning of birth, Tuesday 16th April, and the goslings are still in the nest underneath the mother’s belly. Five or six goslings; it’s still too difficult to tell. Nothing to do with dogs but I’m sure you enjoyed them! This is the second time that we have had a pair of geese build a nest, lay eggs and bring the goslings into the world. The last time was April 23rd, 2015. Pictures here! Back to the delight of blogging with this republished post. I’m having to be much more concerned about copyright, for obvious reasons. I am only going to republished items that I know to be free circulation or that I have specifically asked if is OK. So I’m delighted to offer this post, and can confirm that it is republished with the kind permission of the author. Thank you! A girl, 2 dogs and a quest for SNOW in Southern California. For the past 9 years, I have wanted nothing more than to take Beowolf to the snow. He’s a Wolfdog for crying out loud, the snow is where he thrives! Over the years as every opportunity that arisen to take Beowolf up to the snow something always came up. Car trouble, work obligation, lack of money, etc. Not to mention driving up to the snow alone is not ideal, I never felt like risking it, the Jeep although durable was no young buck and the heat was out! So I often tried to rely on friends, who all pretty much had the same excuses as me. For the past 4 years since moving back down to SoCal, and living in view of mountains, I haven’t wanted to take a trip to the snow so badly! Every winter after a good rain at home, the next morning I look out my windshield on my way to work and can see the beautiful snow-capped mountains that surrounded my valley. I kept planning trips to go but again the same old excuses, on repeat. As of recent (6 months or so) I have adopted a new attitude… a F*** It attitude, no longer being too cautious to say or do something and that includes solo adventure trips. After all, the one thing I envy is travel and getting out of the everyday scene. Coming from someone who moves on faster than a butterfly migration, since childhood, staying in one place too long gives me an itch only I can scratch. I soon realized I can no longer rely on someone else to take me on an adventure. So I threw away the excuses and said, F*** it, pack your boots Beowolf and Valentine we’re going to the snow! The first trip: Mountain High Resort, Wrightwood, CA. I heard of this place from a co-worker and when I asked around I got pretty good feedback. It’s only 38 miles from where I live, and GPS said it was a 1.5-hour drive. DEAL! A friend was even going with me, so it was gonna be a great day trip! I rush ordered a jacket for Valentine and gathered up all my snow gear and awaited the weekend, I have a new (to me) Rav4 and just got a fresh oil change with a full tank so I felt good about the drive. Saturday morning arrives and I jump out of bed blasting music as I get showered and ready for the day, hinting to Beowolf about what awaits him! Just as I finish my makeup and load everything into the Rav4, my phone dings. It’s my friend giving me the same excuse she always gives me but in the end, she cancels. The old me would be pissed, the old me would cancel the day and try and salvage doing something here, but that was the old me. The new me already knew my friend was going to flake because it was her habit, so I told myself no matter what I was making that drive. I text a few family members where I was going and loaded the dogs up. I stopped for snacks and then we were on our way, Mountain High here we come! The first leg was mostly the 14 North going along Palmdale and it was a drive I made many times before, so I was used to it. Then it took me up toward Devil’s Punch Bowl, another place I’ve taken the dogs a few times. Then it took me down a new road, which after the recent rains it was flooded and so I got detoured only to find out that was Private Property. So I speed off hoping to force GPS to link me to one of the alternate routes I saw earlier, of course, it works. So I’m back on track, the Rav4 is feeling good, I’m excellent on gas and my music is on MAX! The rest of the drive was not only fun at some points, but beautiful, the dry desert suddenly became green lush mountains. The redwoods grew brighter the deeper we drove, it was breathtaking. As we entered the tourist housing section I rolled down the windows letting the crisp air in and the dogs stuck their heads out, Beowolf is so excited he can’t decide where to look. He’s used to hikes and trips, but he doesn’t really know what I have in store for him. I pass through the small town and head into the mountain, as I start seeing large areas of snow we start easing into traffic. Blah. But you know what I didn’t care about it; the dogs were happy with their heads out the window, my tank is still almost full and I had my music on so I was fine. Eventually, we crawled by the resort that was packed and so it was time to find a parking spot further up the mountain. I drive maybe a mile from the resort and find a secluded area with loads of space to park and play, so I pull in and park it. As I finish getting ready like 5 cars pull in behind me, really? Just as I was about to pull out the dogs and let them run, but no, so I leash them up and get them out. Beowolf doesn’t even know what to do! He’s so excited and poor Valentine is like whoa WTF. With nowhere for them to play safely, we must walk back down where the designated area is, the walk to the park was no picnic at all. Beowolf pulled as much as he could and Valentine pulled in the opposite way, I decided against putting on their pinchers, they had been doing so good with training I didn’t think I needed them. Big mistake, I hadn’t had to walk in the snow for years and the edge of the road was so crowded with people. I already had too much to carry and thanks to Beowolf I had a big bag of doo-doo dangling from me as well, I eventually led us along the crest of the hill where I can relax and give Beowolf some slack, I could finally walk and eventually fell into a groove. When we got to the area to play there was a nice big space where nobody was, so I decided that was the perfect place to let the dogs off leash, well not Valentine. She was not having a good time at all, she was shivering despite the coat and I never factored in the way people would look to her in their big coats, not to mention the snow was deep and it was hard for her to move so she felt trapped. I kept her with me by my side while Beowolf ran around and sniffed and played. He was so happy and so was I, it was so fulfilling getting over my own anxieties going places alone and driving in the snow to reach that place. Beowolf is already a sight when he runs loose, but against the beautiful backdrop, it made my heart so warm! I decided, in the end, it was worth going alone and I was going to take them out more. The walk back to the car was so much better, I decided to walk in the street, there was little traffic and my dogs have the training to heel alongside me so when a car came we just moved over and waited for them to pass. Took us 5 minutes to get back to the car. Upon our arrival, every car that was parked around us before was gone! So I put Valentine away and let Beowolf run some more. Then we packed in the car and headed down the mountain, stopping once more to take some more pictures. The drive home was even more spectacular. A very winding road leads Big Pine down the mountain which gives you captivating views with each turn, I don’t know about you, but I always loved driving and wanted to be a stunt driver for commercials. I felt like I was in a Rav4 commercial, listening to soothing music driving down the mountain and at sunset no less! All in all, it was a great day, I would totally go up for more trips, I saw more isolated areas that would be great places to stop next time too! I got amazing photos and Beowolf got to finally experience snow! We made it home at 5pm. Overall I would rate my experience a 4.5/5. This author is relatively new to the game but if she continues like this then she will soon have plenty of followers. Meantime, I’m thinking of how to feature a Picture Parade for Sunday!